You’ve probably known a co-worker or boss at a job who just gave you the creeps. Maybe they made you feel like you had done something wrong when really it was them who had done something they shouldn’t have. Or maybe you know someone who treats their subordinates poorly, but they’re really slick with the people above them. You might have been angry or felt uncomfortable, but you might not have actually called them a psychopath. These people aren’t just lurking down dark alleys waiting to murder you. There are plenty in corporate America. 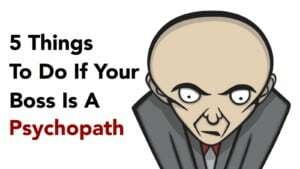 There are several characteristics that make people psychopaths. According to Amy Morin in Forbes, there are certain psychopath traits such as “dishonesty, exploitation, arrogance, low remorse, minimizing self-blame, callousness, and shallow affect.” Those psychopaths who are successful in the workplace have more self-control, and this is what keeps them out of jail. Psychopaths who end up in jail lack the ability to plan, but the successful psychopaths are able to curb impulses that would land them in serious trouble, or they can at least plan enough to not get caught. If you work with someone who you think might be a psychopath, you might wonder what you can do to survive their manipulative or demeaning behavior. Psychopaths aren’t the type of people that you want to tangle with if you can avoid it. They, along with other toxic people, can drain you of your energy and self-worth. These kinds of toxic people can too. But, if you can’t avoid them, there are a few things that you can do. According to Amy Morin at Inc., you should control your emotions, don’t be intimidated, communicate by email, don’t listen to their stories, turn the conversation to them, and get away from them if possible. Morin says that you should stay calm and don’t show your emotions. When you show your emotions, you give them leverage over you. By staying calm, not only are you not letting them control you, but you also aren’t giving away your weak spots. For most morally sane people, not being intimidated when someone is yelling or doing other things in the effort to intimidate you doesn’t sit well. But, you need to be very assertive with people who are trying to scare you. It’s important to show the psychopath that his demeanor won’t get to you. Morin also advises to report incidents to Human Resources. Psychopaths often tell stories to make themselves bigger and better than what they are. If you want to avoid their manipulative ways, make sure that you take the stories with a grain of salt. They can also sometimes tell stories that make them look like the victim when something goes wrong. If you buy into their stories, you might find yourself feeling bad for them, and you might end up doing things for them that you wouldn’t normally do that can even put you in danger, or at least in an uncomfortable position. It’s not wise to directly confront a psychopath, but you can ask them how they’re doing when they have an outburst or try to blame someone else. Make it sound like concern rather than an accusation. Morin tells us that psychopaths are best at negotiating face to face. They, however, are not nearly as adept at doing it over an email. Try to make as much communication over email versus in person so that you aren’t giving them the opportunity to manipulate your feelings. If you have a boss or colleague who has psychopath traits, stay away as much as possible. And, if it’s really that bad and you’re able to do so, consider quitting before it takes a toll on your health. If you can’t get away, you might find that your mental health begins to suffer. Anxiety and depression are common symptoms of people who are dealing with a psychopathic boss or co-worker. Make some extra time in your personal life to be aware and take extra steps to boost your immunity. 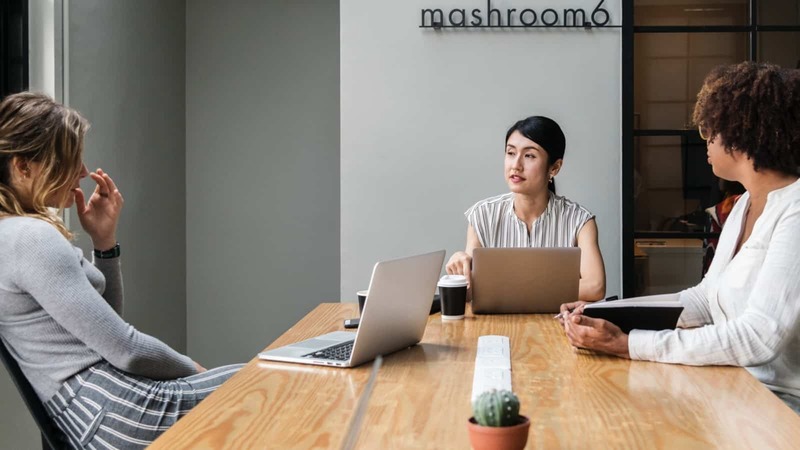 Having a psychopathic boss or co-worker can take a major toll on your mental health and career, but if you want to minimize the effects, take charge of what you can. Also, don’t internalize the behavior and messages. Know that you’re not the problem, and make sure that you document any serious offenses. While it’s not always effective to try to go above the head of a psychopath, there’s strength in numbers. And, if you’re feeling manipulated or degraded, there’s a good chance that some of your other co-workers are, too. Getting a read on how other people feel can give you and the other victims an opportunity to expose the psychopath to their superiors.